I love Kakarakaya (bitter gourd) in a form. Be it fry, pulusu or this karam. I like to eat this karam with hot rice and ghee. Dry roast all the ingredients except kakarikaya and tamarind. In a pan take 7-8 tbsp of oil. Fry kakarikaya in hot oil till kakarikaya turns crispy. Now take out kakarikaya from oil and along with dry ingredients,tamarind and salt, grind into coarse powder. Red chillies and tamarind can be adjusted according to once taste buds. First grind dry ingredients and add kakarikaya to get the kakarikaya crumbs. I have been making this big bun since a while. And every time I make I change few ingredients. Sometimes it's just plain buns and sometime it's a desi twist or Italian twist. Today I am posting desi and Italian buns. The adds on like the oregano,jalapeños etc can be added according to once taste. Readers can play around with the ingredients. Here is the receipe. How to make the buns ? Mix water with butter,egg and milk. Mix dry ingredients, flour, yeast, salt and sugar. And also add additional ingredients. Now mix the wet and dry ingredients. Knead the dough well and let it rest for one hour. Wrap a wet towel on the bowl and keep in a warm place in the kitchen. with gap of 2 inches between each balls. Now again cover it with a wet cloth for another one hour. After one hour, apply melted butter and bake in preheat oven for 12 minutes at 350 degrees F.
Yummy buns are ready. I love to eat my buns with hot cup of tea and my kids like to apply little butter. Khatti dal is the most common side dish in hyderabad and it is made with lentils. 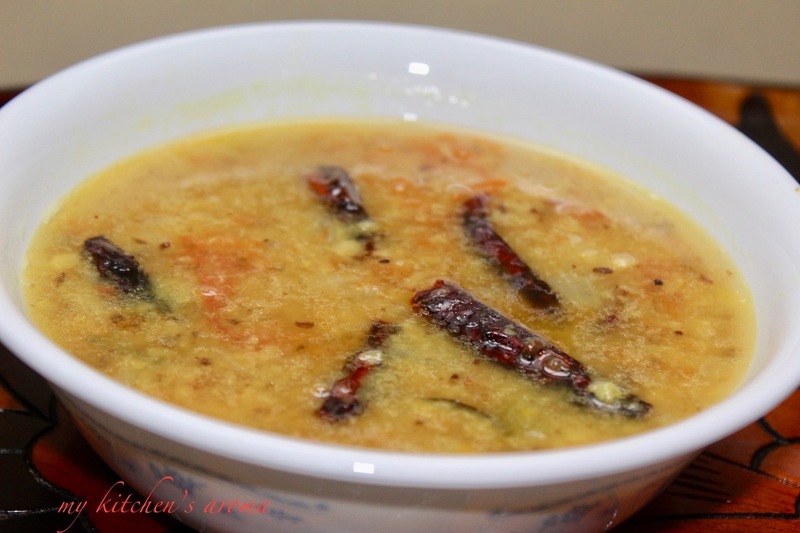 This is made with toor dal or masoor dal, mostly it is in running consistency. Khatti dal means tangy lentils. I prefer eating khatti dal with roti or fulkas. Recipe is simple and quick to make. Many prefer this khatti dal with rice and with any non-veg fry. Here is the recipe. Pressure cook all the above ingredients. The dal has to be soft and mash the dal. Season the dal with the above ingredients and garnish with coriander.